In 2018, Skye Instruments reached its 35th year trading. To celebrate this special occasion and to support the International Year of the Reef, the company wants to share the benefits with other good causes. In wedding terms, a 35th anniversary sees the gift of coral being shared and this gave us an idea… being an environmentally conscious company, Skye wants to use its success to help the struggling coral ecosystems however it can. To achieve this, we want to help promote the importance and value of this unique ecosystem in its international year. 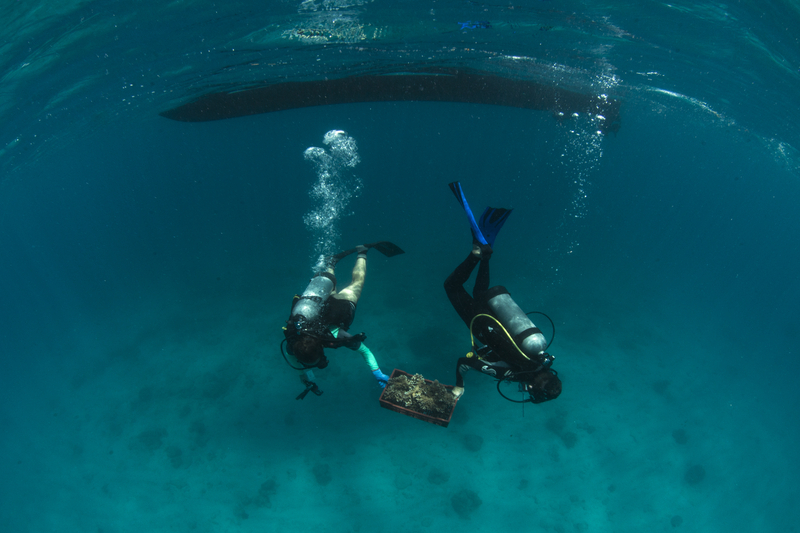 To do this we have identified several approaches; There will be a section of our website dedicated to coral, its importance, current research and ways in which people can help and contribute. Secondly, we are hoping to donate suitable products to one or more coral research projects. With many of our products being used by researchers to better understand the world we live in, we would love to be able to contribute to this research. Skye have set aside a budget of up to £5,000 to put towards one or more projects. We hope this will help protect these delicate ecosystems from the ill effects of rising sea temperatures and coral bleaching. In return, we would love to create and promote a case study about your research, including figures and findings. If you would like your research project to be considered, please find out more here. The deadline for application is Friday 29th June 2018.